Almost all the flights to Israel arrive via Ben Gurion Airport. 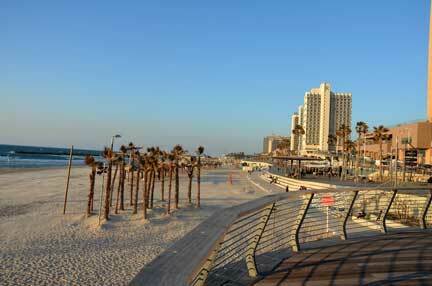 There are direct flights to Tel Aviv from United States, Europe, and Asia. Most of the major world airlines fly to Tel Aviv, with Delta, American, United being the major U.S. airlines that fly here. 1) You can take a cab. This will cost you 150 Shekel. (It is a fixed price, so do not let the driver charge you more). 2) You can also rent a car at Ben Gurion Airport, (airport surcharges apply). 3) The least expensive way to Tel Aviv is a train. It costs 20 Shekel and takes 20 minutes. However, unless you are staying at the Crowne Plaza Tel Aviv, you will need to take a cab or a bus to get to your destination once you reach the city.